but i think my result also.... haha. and i'm not going to college January intake also. so i don't really need the result. i went out after tuition yesterday. there's a ladder beside.walk above then you're there. met up with Zai yie and "her boyfriend"
Bought Wei Nian's birthday present. Something from the new collection. i'm sharing them out here due to Vicky's request. Anna Sui Kaleidoscope Eye Colour Duo #05 Feminine Purple. The pouch was a free gift. it's a light purple and brown in the palette. 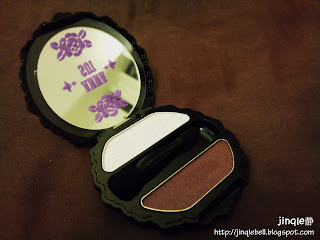 Like others Anna Sui's product,it have the rose scent over the eyeshadow. Did i mention that it's a 1+1=3 eyeshadow? when you mix up both the colours. it will turns out to become a nice maroon colour. The eyeshadow comes in 7 different choices. There's other items such as single eye colour which comes in 25 colour choices,eyebrightener,5 limited nail colour,and 3 tone of concealer. would like to try out the products if there's chance. 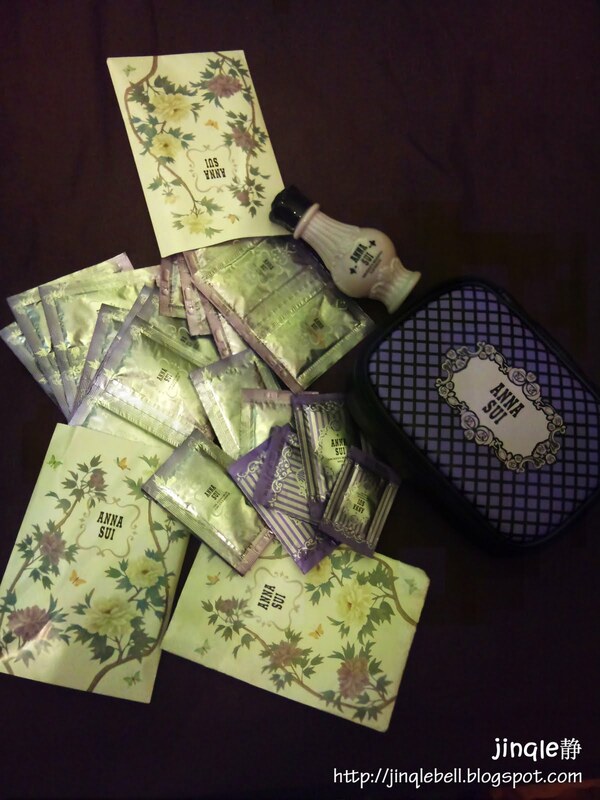 Look what i get by only spending RM17x there. The girl was so kind. 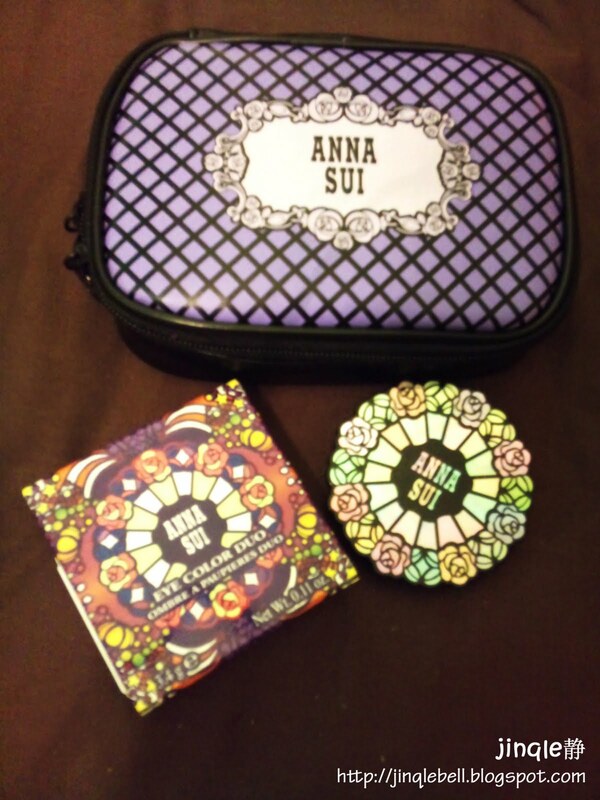 she'll be my Anna Sui salesgirl in the future. i'm in love with the new Perfume - Forbidden Affair. saw a set of 75ml perfume+pouch+200ml bath gel/lotion of the perfume and lots of miniature.